"One should be thinking of Krishna in devotional love. That is bhakti. One should cultivate the knowledge of Krishna continually. What is that favorable cultivation? It is to learn from a bona fide teacher. Krishna is the Supreme Personality of Godhead, and we have several times explained that His body is not material, but is eternal, blissful knowledge. 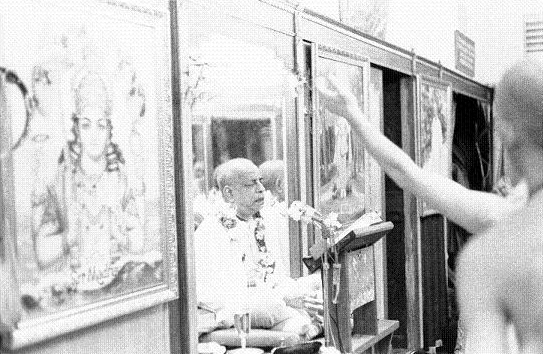 This kind of talk about Krishna will help one become a devotee."